Wendy Head is a member and instructor at the Cambridge Gliding Centre. 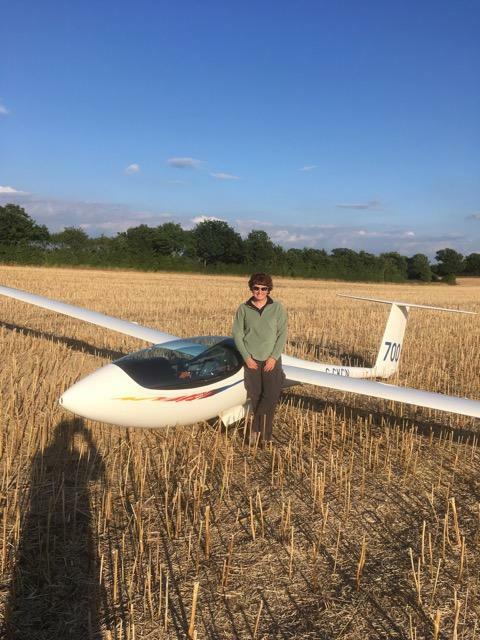 Her journey began from one trial flight at our club, and now she is the holder of the UK/National feminine records for the fastest 400 km triangle and 300km out and return flights. She also flew a spectacular 750 km flight under 8 hours in 2018. All were achieved without an engine. 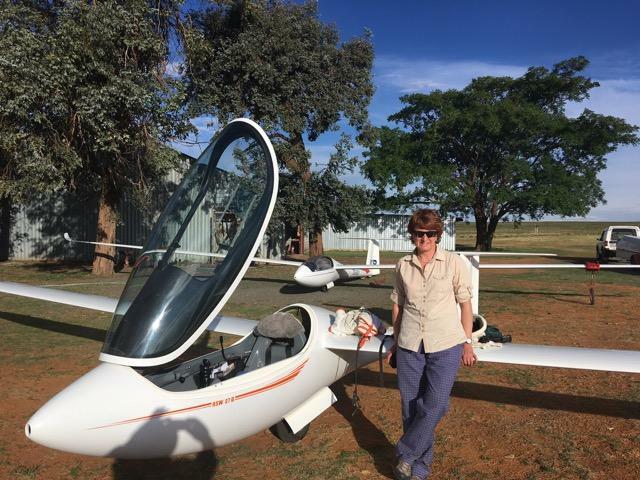 Read on to find more about Wendy, her passion about gliding and instructing, and some unforgettable stories! Badges : Gold Badge, 2 Diamonds and a UK 750 km Diploma. Could you give us a brief introduction of yourself? What brought you to the world of gliding and how long you have been flying? Did you receive any support when you were learning? I initially came to Cambridge in 1986, as Pye Unicam/Philips in Cambridge sponsored me through University (Computer Studies Degree at Loughborough) hence I worked for them in summer vacations and took a job with the company afterwards when I graduated in 1989. In 1991 I changed jobs and joined a company in Melbourn, where I met Alan Dibdin. The gliding club was still flying at Duxford then and I went along to a trial flight evening that he arranged and had two flights with John Birch. I joined the club straight afterwards, starting my training at Duxford and then continuing at Gransden Lodge when the club moved there. I went solo about a year later, making slow progress as just out of University, money was tight, so my flying was on a budget. However, there was no doubt that I was well and truly hooked and gilding has been a major part of my life since. I went solo in 1992, became a BI (basic instructor) in 1996 and then Instructor in 1999. I did my early flying and obtained my Silver Badge (1994) through an insurance share in a K6E glider and then bought my first glider (Vega) in 1995 which took me to Gold Distance and Diamond Goal (1998). I bought my ASW27b in 2002 with Andy Walford, which took me to Diamond Distance (2003) and Gold Height (2003) and haven’t out-grown it yet! We know you are currently holding a number of UK/National Gliding Records including women fastest 400 km triangle and 300km out and return. You’ve also completed a 750km flight this year, which is a marvelous achievement. How did you embark on this route and what kept you going? I have flown cross country regularly from the start and certainly benefitted in the early days from flying a K6 as landing it where you wanted was easy, so I never had any concerns going cross country and getting caught out. I did a couple of early cross-country flights in 2 club-seaters with John Glossop and Mike Smith (we landed out! ), which helped me get hooked. Beyond that, the great thing about gliding is that when you have done something great, usually someone else has done something better! So that keeps me going as there is always something to strive for. I have also developed a slightly crazy streak for pushing on and keeping going, yet usually with an uncanny realization on when I need to give up and turn for home. These days the judgement is usually quite good, mainly fine-tuned from years of landing out through not knowing when to throw the towel in! But I absolutely love the challenge of seeing what you can do, often in less than perfect conditions and I am frequently amazed when we get back after the weather takes a turn for the worst and the confidence that then gives you for getting back home when it’s tricky (e.g. spread out or blue conditions). Flying on difficult days is one of the best ways to prepare for those “sticky” patches you inevitably encounter on the bigger flights. You are also an experienced gliding instructor. Why did you decide to become an instructor? How do you find it teaching people to fly? What would be your advice for people who have just started? For me, becoming a BI and Instructor was a natural progression in the early stages of my gliding journey. As an Engineer, I enjoy the problem solving activity of trying to teach someone and then working out why it may be going wrong. It has also been very good practice for life and work in ensuring you give very precise, concise instructions! It won’t be a great surprise to many of you to know that my real passion is cross country flying, but I genuinely enjoy instructing and the additional skills it helps you develop and keep current. For example, cross country pilots commonly spend the summer flying above 1000 feet, Instructors spend a lot more time problem solving with students below 1000 feet which is handy for getting away from those low scrapes! This is one of the great things about gliding for me, that people can take it where they like, whether it is cross country, aerobatics, flying locally, flying abroad, doing competitions – you have a large number of opportunities to excel and challenge yourself. You’ve also participated National and Regional gliding competitions. What do you enjoy the most about competitions? How do competitions influence your gliding career overall? Would you recommend? Competitions are great as you are organized with a task, weather and Notams and get chance to compare your progress with others in exactly the same conditions. They are also a great antidote to only flying on the good days, as you often get sent off when maybe you wouldn’t have even rigged. With an enjoyment of gliding holidays as well (French Alps, Spain, South Africa), I have always found it hard to devote enough time each year to doing several competitions in order to get really good at it. But I do still usually do one per year and really enjoy it. I would recommend that if you have an interested in cross country that competing in the Inter-club League and progressing to doing your first Regionals is a good start. At every gliding competition I have been to I have always met new people, got good support and had a great time. I have many friends I have only met after they have come to retrieve me – with gliding “passing the love around” on the retrieval circuit is a good way to meet new people and get friends – don’t always worry about reciprocating for the same person, just help whoever you can and that keeps the gliding world going round! What are the usual misconceptions you heard from people when you talk to them about gliding? And what are the most unforgettable experiences/stories you’d like to share with us? Apart from the obvious, “what happens when the wind stops”, mostly I find that people are amazed at the distances we travel on a good day and the amount of time we spend in the air without an engine, which then leads to the inevitable questions about in-flight comfort arrangements! Very early on in my flying when I was in Spain, I went off “the convergence line of your life” (ask John Birch) adamant I wanted to continue with my declared 500km Diamond flight, and then promptly landed out in the middle of no-where! It was slightly exciting, as the stubble field I planned to land in I discovered at about 400’ had a grid of irrigation poles, so I had to change field selection late on, which was a bit stressful. The adventure then started, as my list of phrases translated from English to Spanish didn’t get me very far and with no GPS’s on phones I ended up walking over 5 miles to a village to find a place I could describe to my crew to meet me. Thankfully (unlike on a previous occasion *) I didn’t loose track of where I left the glider! We did find it again, and in the meantime, I met several nice Spanish people and managed to communicate with pictures and hand-waving! 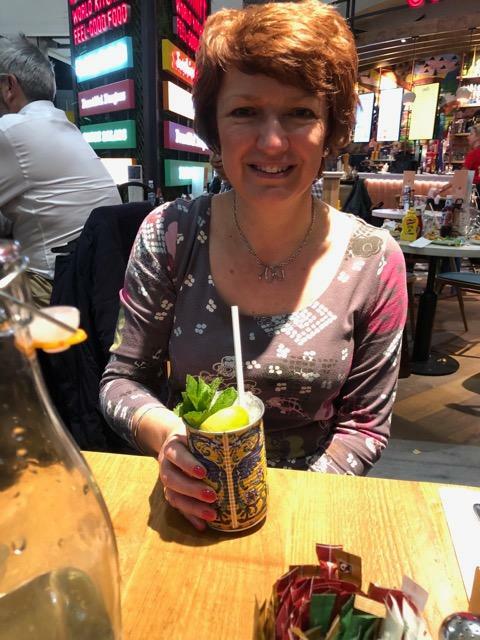 * I once lost a glider after a competition land out near Basingstoke on the way back to Lasham and when my crew arrived I couldn’t find my way back with the trailer – after Finn Sleigh “grassed me up” I was given a ball of string at prize giving, so next time I wouldn’t loose my glider! Generally, land outs are good stories to dine out on, those with turbo’s don’t know what they are missing! I’ve also had some memorable flights on blue days (first UK 500 for example). Do you think gliding have a positive impact on your life and career? How did you manage to fit flying in your busy lifestyle? Yes, definitely, it has made me realise that I like a challenge and given me a reason to work for! I have just changed jobs after 18 years, and so I am now in new territory, but with good holiday options. Previously I have managed to keep a good eye on the weather and manage my work, diary and boss effectively! My previous team certainly knew that if it was a good gliding day everyone was happier all-round if I went flying! Inevitably, you can never fly every time you want, that is just life, but then it makes you make the most of it when you can and that can be good for pushing the boundaries on less than perfect days. As for everything else that needs doing, there are always plenty of bad weather days for the chores and I have a good network of friends who understand “weather checks” on meeting up and accept short notice invitations in bad weather!